After the voting of 10 nations, 5 songs still haven't received a single point. So you're basically saying that @dezbee2008 and @Wanderer have not yet voted? Just a quick announcement regarding a schedule change. The Voting Oder Draw, that was previously scheduled for Sunday April 8th, will happen Saturday April 7th. @OlympicIRL will direct the proceedings, for which I'm already grateful. The Festival of Music, that was previously scheduled for that day, has been pushed back a week to Saturday April 14th. While there wasn't any problem with the deadline to register the songs, now there's only 10 days left for 31 nations to send their votes. From this day on, I hope to do a series of posts showing the progress and preparations for the contest in Brazil. Today, I will start with the cities and venues, hope you'll enjoy! As today we celebrate the 1-month-to-go mark for the Totallympics Annual International Song Contest 2018 Grand Final, we are proud to announce the cities and venues that will host the music competition. 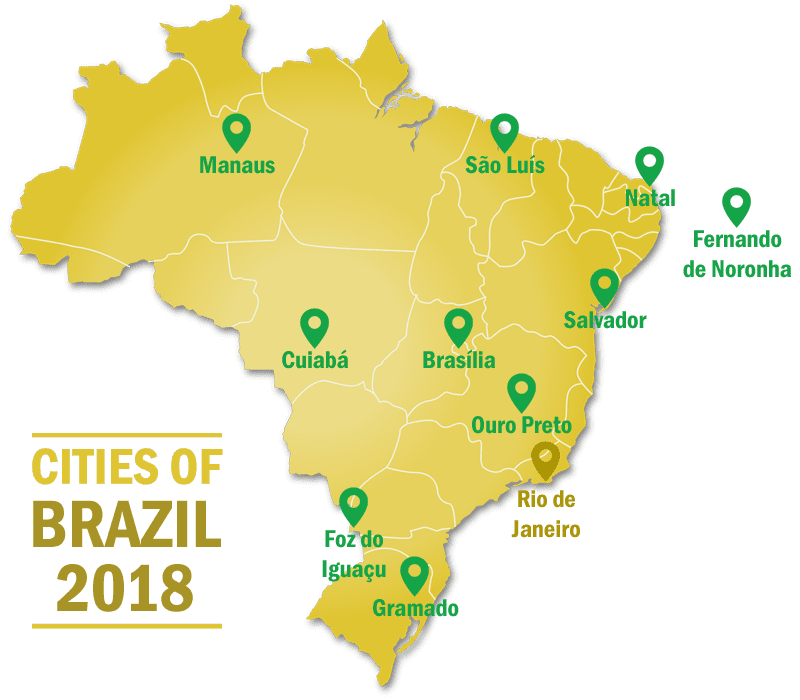 Around the five major regions of Brazil, a total of 10 cities will be the home for the 42 delegations: our capital Brasília (DF), Cuiabá (MT), Fernando de Noronha (PE), Foz do Iguaçu (PR), Gramado (RS), Manaus (AM), Natal (RN), Ouro Preto (MG), Salvador (BA) and São Luís (MA). 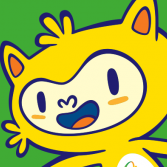 In addition to those cities, the contest itself will take place in Rio de Janeiro (RJ), home of the 2016 Summer Olympics. The legendary Maracanã stadium will be the venue of unforgettable Opening and Closing ceremonies, while the Olympic Park will have the honour of hosting the contest. Having recently received the Rock in Rio festival, the Park not only will be the main stage for the Annucal TISC, but host a number of events in celebration of our 10th overall contest, such as: the World Music street, in which international artists from our Festival of Music will perform; the Brazilian Roots street, a stage for contemporary and classical artists from the home nation; the TISC Official Exhibition at the Carioca Arena, celebrating the achievements and history of the contests; and last but not least, the Winterfest Special Presentation at the newly refurbished Aquatics/Ice Centre, giving fans a taste of the music from our friends of the south. We hope you will join us in Brazil 2018!